Welcome back to ‘What you missed this week’! I’ve now been running this ‘sunday paper’ for about three months and while I’m happy with the success and reach it has received, I’ve gotten to grips as to my limitations in redacting it. Most of them are related to the understanding of the strategic and political environment of Eve Online’s power blocs, big chunks of what makes Eve, Eve, and what people are expecting to hear about. So if anyone out there has the know-how and keeps himself aware of the political environment as well as the various deployments and stagings that make up the going-ons of nullsec and has half an hour each sunday to spare, poke me on CZ’s discord and let’s talk. Help me make this a better and more wholesome roundup! That said, you know the drill, kick your feet up, grab a cold/hot one, and let’s see what you missed this week. Drama and Eve goes hand in hand, for some of the pettiest reasons sometimes, but somehow Goons as an entity always ends up on the vocal and miffed side. EveNews24 published an article written by the ever-abrasive Seraph IX Basarab. In it, he bashes INN’s Moomin’s article on the topic of sovereignty renting. Even with the harsh language, the battle of quills wasn’t the greater issue here between the two publications. Oh no, the unmagnanimous issue here was one of how Seraph linked the INN article from Google’s webcache, denying INN of ‘hits’; such a vital resource these ‘hits’ and ‘uniques’. Apparently no one had reached out to Salivan Harddin, the Editor in Chief of EN24 to get this solved before the whole thing blowed up over reddit and the comments section. When contact was made eventually, all sides were equally salty about the matter and as such the article stayed as is. And so another news cycle rolled over the universe of Eve Online. To note, I posted both links here directly, noncached. Don’t controversy me bro! This week has been relatively turbulent times for Eve groups. Some may call it spring cleaning or rejiggling the organizational structures, but the matter of fact is that names we’ve heard off are getting rubbed off or affected. Starting us off, the infamous CODE. has been a victim of spaceway robbery as Jason Kusion, a member-with-roles ‘superstar’ of CODE. decided to run off with around 600bil worth of a mix of ships, modules and general loot. While CODE. does have a poor reputation, it’s still a community of people with a particular way of experiencing Eve and the losses do resound within their group. That doesn’t mean CODE. can stop being CODE. and joking/trolling; as such it didn’t take long for this faux announcement to be made. But then again.. /// BREAKING NEWS /// Apparently he also decided to cancel Burn Jita. In the more factual sphere of things, the appropriately named and beautifully alliance-logo’d Confederation of xXPIZZAXx has disbanded as of two days ago after a good five year run. While we were graced with great content brought about by these guys, we have to admit that it’s been dying a slow death for a while now. In any case RIP and as they say, ‘the dough will rise again’. We also got to see Spaceship Samurai [HONOR] commit seppuku this week as Concordiat moved house to Pandemic Horde (as more or less a sleeper) leaving the mishmash of corps still in the alliance in disarray, with the more skilled members there joining Horde Vanguard, a new initiative based on skillful play, within PH. The SOTA goes into the details of how and why but it can be attributed to things that kept moving due to inertia, not goals, and pieces of the machine deciding they don’t want to do it anymore. In a bit of contrast, an alliance that has apparently started raising itself up from the dead is Red vs Blue. They have returned to The Forge after their 2015 ‘heart attack’ and after subsequent moves to Otela and Liekuri in the well-placed hope that they can save their group with more activity. It worked. They’re announcing a coming war against ‘one of the biggest alliances in the game’, and also planning some PvP competitions. In ‘oops’ news, Inner Hell misplaced an Astrahus after it unanchored, with Wormbro there in the nick of time to yoink it. Given Astrahus costs nowdays, Inner Hell, the WH Keepstar owning entity, probably really doesn’t care. #NotEvenReplaced. Sven Viko VIkolander also ran into the remnants of a former industrial complex of towers as he bashed the attached contents of 12 offline sticks. While no mention of ISK dropped from this can be found, it’s a sound reminder that once POSes get removed, no one will start ‘shooting’ Astrahuses for days/weeks for the sake of any decent drops. So, does anyone remember that small B-R5 brawl? The one that was started from an unpaid sovereignty bill? That CCP has mentioned and reinforced that it most likely was not an Eve tech-related change? And that even it was, it shouldn’t happen aga— oh, wait. There are very good reasons why the UI and functionality gets so much flak. Eve players have gotten so adept at playing this game of spaceships, the only thing that can really get in their way is the tools in the game itself being unreliable. While I tend not to highlight blog posts here, Capri Sun Kraftfoods’s posts often are insightful and relevat to the current climate. In his most recent one he tackles the concept of timezone tanking, allowing entities to use the unavailability of an enemy’s prime time within their vulnerability window in order to preserve structure safety. 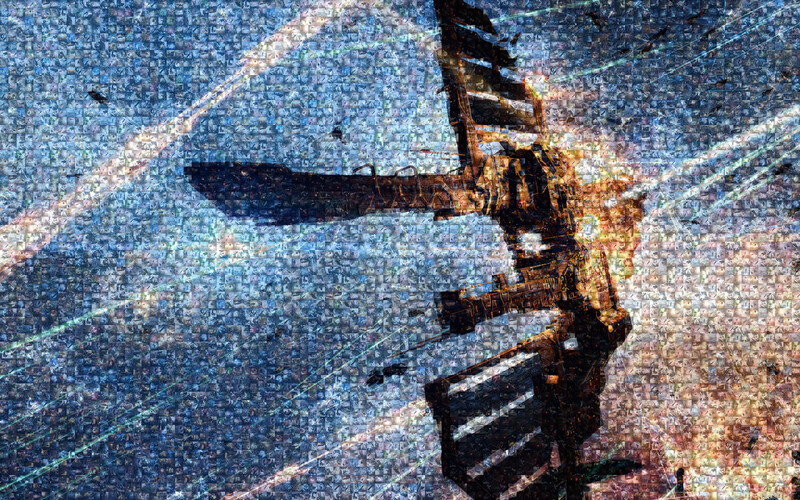 Having ‘cross TZ’ cover has been a staple of large-scale nullsec war in the pre-Aegis days and it seems to have transferred to today in a very shapeshifted way. It’s a good read, check it out. As a final quick mention, the CSM12’s second summit minutes were released earlier this week and we’ll have a breakdown of them up most likely tomorrow. Expect so many words. Going straight in the The Art Corner, we have Razorien exploring more ways to crunch together his love of Eve photography and data-driven solutions. 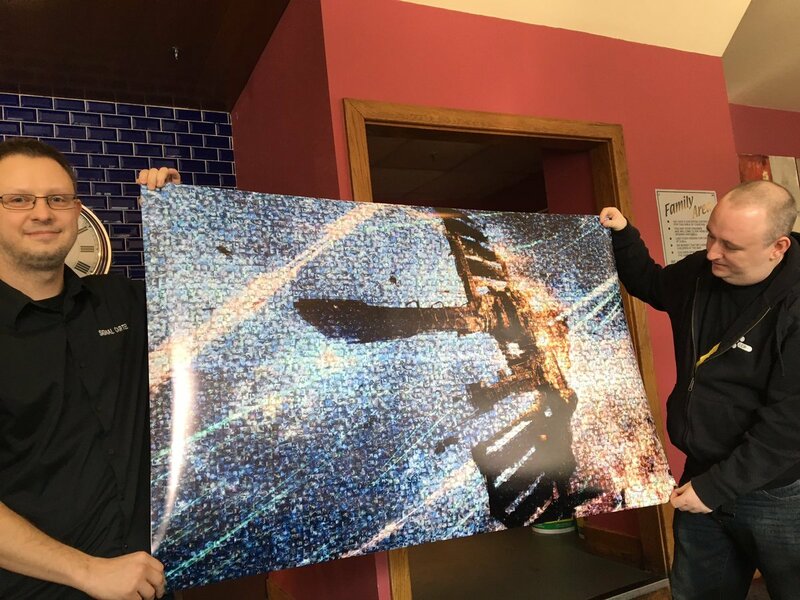 He also presented to CCP a gift consisting of this as large print over this weekend at EveNT London. Fakeswede shares with us this fantastic wallpaper-grade rendering made by Taiga Digital. Check out the post for the proper 4K highres version. And by this point I should really just give Blastahoe his own section in this roundup, as he put up ANOTHER rap-hit this week. The Reaper. There is something to be said about being open-minded, about allowing things to have bendable relationships and structure instead of forcing them down rigid moulds. It’s key in being able to expand and to grow, to become more connected and why not, to also gain the power that such understanding bestows upon one such person. But there is a vague line drawn in the sand, a point where you have to stop the world from pushing itself inside and to push back of our own volition and create the ripples in the world that others will strive to understand. Missing that line can be easy, and can be catastrophic, not just for such a person himself, but also for the loss of his ripple upon the world. Getting us started is BlackHawk 0oi with some glorious solo PvP in Succubi (yes that’s the correct plural) and Hecates. Staying in the same caliber of players, we also got Loussy again, under the worstplayerever Youtube handler trying to ‘farm’ in his Ishtar and only getting dank PvP. Poor guy. I want to highlight Metalcell this month, with his channel mostly featuring PvE content guides, focused on highsec. This is a lot of content that Alpha players could engage in and it’s great to have it shown in such a decent presentation. As an example, this is him running a Chemical Yard. Closing up with the big boys, we have Hole Operations saving one of their Rorquals. Fantastic little showcase of the content putting Rorquals ‘out there’ in space can bring to Eve. It’s coming up on five years. Five years where we have been outraged, calmed down, relaxed on the subject and now can approach it from a calmer and more level-headed place. 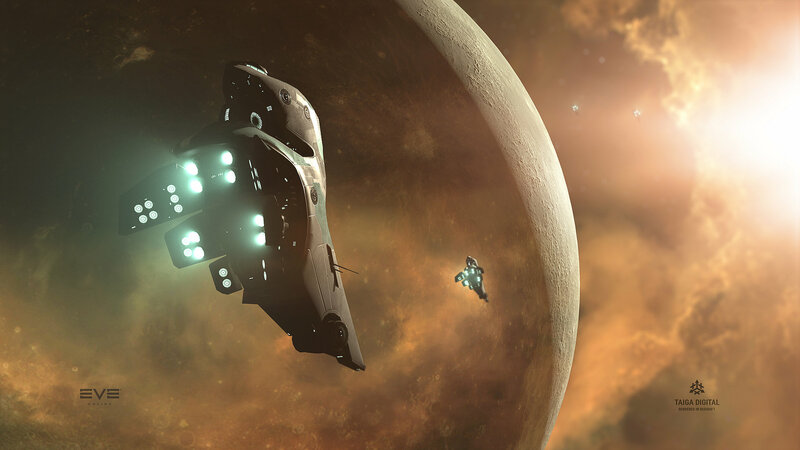 Eve has also changed quite a lot in the meanwhile, with a larger overall focus and the roadmap which has been on the way thanks to CCP Seagull’s careful oversight and guidance. All of this has amde it interesting to speak of now. I’m talking of course of Incarna and the fabled Walking in Stations. A few years ago this thread would have been downvoted into the depths of shame, but in the glorious year of ‘thank God Trump didn’t nuke China yet’ 2017, it was received with a whistful smile covering a sense of latent nostalgia. Quite a few people want more imersion and avatar-to-avatar interaction and now they can speak of it without drawing too much ire. Starting out with some cold realism, we will not see any changes to the Incarna bits of the experience within the context of the current roadmap, it finishing with player-built-stargates. CCP struggles to get the existing features out on time that /are/ on that roadmap and building more Incarna features fully qualifies as CCP needing to go full steam on that. Personally I’m surprised they’re still making clothes for it. So with that out of the way, and fully engaging the daydream module, what can we even expect out of in-avatar station interactions at this point given the current gaming industry standards? Various activities such as ISK-based poker or in-game gambling, which are still EULA legal, have been mentioned, but those could be done without bothering with the avatar aspect and just made ‘minigames’ within the game. Alternatively, we can take a cue from the defunct Star Wars: Galaxies, which relied on the social aspect to drive full ingame ‘careers’. For Eve this’d probably translate into skilling up Banjo Playing V, but I can’t see people AFKing in citadels with ‘fake avatar stuff’, when we can all enjoy talking on Teamspeak/Mumble amongst ourselves as is, or playing other games together. In the current context it’d end up being a ‘social’ feature akin to what’s done on consoles right now with Mii’s or on Xbox with Avatars. So what really is left? Some sort of Eve x Legion crossover where we engage in FPS matches with our characters? That’d not exactly be ‘Incarna stuff’ but I don’t think anyone would mind the linkage. It would give people more ties/connections to Eve and tempt us to play ‘Eve x Legion’ instead of defaulting to Overwatch/FOTM FPS. As long as the game itself is resonably digestable. In any case, I think it’s safe to surmise at the end of this short introspective that whatever content an Incarna avatar-based feature would bring it would have to complement Eve; complement its existent downtimes and lulls, not compete with the active periods. Let’s just wait until 2020 when CCP finishes with their current roadmap and we’ll see from there. PS: When is the best time to deploy a bomb?